Canada’s wildlife is in peril. From bees to birds, butterflies, boreal caribou, polar bears, whales, turtles and salamanders – species are in decline. Sea levels are rising, putting low elevation islands at risk of flooding. Sooner or later thousands of coastal communities around the world will become uninhabitable. Antarctic melt rate has tripled in the last decade. The ice shield is diminishing faster than ever. It is now pouring more than 180 billion tons of ice into the ocean annually. Since 1992, the Antarctic ice shield has lost nearly three trillion tons of ice. Of that loss, 40% occurred in the last five years. 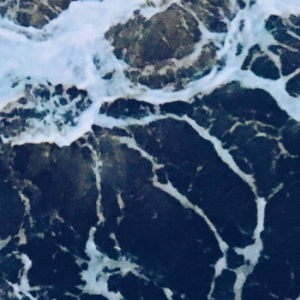 North Atlantic Ocean currents have slowed down by 15% since the middle of the last century. Africa’s Lake Chad is in a state of crisis, and drinking water reservoirs are drying up in many places. Man-made pollution of air and water exacerbate the situation. There is no doubt that the issues are complex and that addressing and solving them is a daunting task. Complexity calls for collaboration. We live in a pivotal era which presents significant stakes. There is a growing need for finding solutions to meet growing energy demands and environment protection needs, while at the same time remaining cognizant of our impact on the health of our planet and its finite and depleting resources. Climate change in general, and accelerating human activities in particular, have significant impacts on wildlife. These are a few of the wildlife species that are being affected by the changing climate in Canada. Studies show that birds start egg-laying at an average of 6.6 days earlier every 10 years. Raising their young is no longer matched with the time of maximum food availability. And many birds are migrating earlier because of warmer Spring temperatures, while Arctic birds are challenged by an army of new parasites. To learn more about bird lives, see BirdLife’s recent study on how climate change will affect birds. Eastern Meadowlark, photo by Connie VanderZwaag Kiers. One hope for the preservation of grassland birds will be farmers who adjust their hay harvest times to the nesting times of birds. 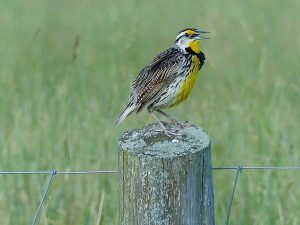 For decades, nesting Bobolinks and Eastern Meadowlarks have been on a collision course with farm tractors and livestock, contributing to drastic population declines among these birds. Ontario’s Bobolink numbers have plummeted 77% since 1970. While grassland birds seek a place to hatch and rear their young, farmers are scything down hay fields with their mowers and have cattle grazing on bird breeding grounds. The consequences are usually disastrous for the birds. But now, some farmers are steering a new course, hoping to reverse the slide. They attempt to revise their times for harvesting hay in June – the height of nesting time for grassland birds – and by implementing more rational grazing. Keeping mowers and livestock out of fields until mid-July, when young birds have fledged, is a good idea, but it creates another dilemma for farmers: lower quality hay and animal welfare costs. Milk cows demand higher levels of protein than other livestock, so dairy farmers must cut hay more frequently to harvest fodder that is less mature and higher in protein. They also opt for high protein species, such as alfalfa, which is poorer habitat for Bobolinks. Efforts to maintain grassland are beneficial not only to Bobolinks and Meadowlarks, but also to Field Sparrows, Savannah Sparrows, Upland Sandpipers, Eastern Kingbirds, Kestrels, Northern Harriers and Short-eared Owls. There is a pressing need to protect bees and other pollinators from neonicotinoid pesticides and herbicides. Bees are hard-working, industrious creatures, small but mighty, that are essential to pollinate many edibles we consume. Glyphosate is a weed killer that has a devastating impact on the life of bees. It also takes out all milkweed and nectar-producing wildflowers. Sign Nature Canada’s petition to ban neonics today! Caribou and our other at-risk species are more than just “nice to have.” Scientists consider boreal caribou as bellwethers of the health of the boreal forest. Protecting Canada’s remaining boreal caribou habitat is one of the most important means at our disposal for maintaining fully functioning ecosystems within forests and wetlands. 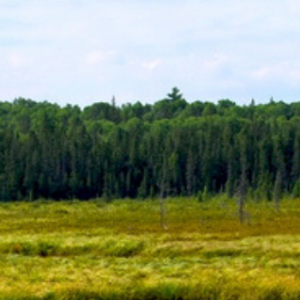 Yet, companies are routinely exempt from rules that are supposed to protect caribou habitat. 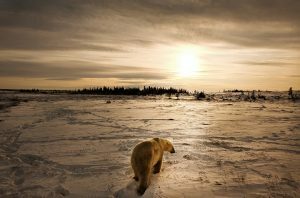 Despite a 2012 federal government recovery strategy that outlined the need to protect at least 65% of boreal caribou habitat from disturbance, industrial development is still allowed. Boreal caribou are estimated to occupy 2.4 million square kilometres of Canada’s boreal forest. Their critical habitat extends from Labrador to the Yukon, across nine provinces and territories. They have been part of our landscapes for more than two million years. Shrinking pack ice and longer, warmer summers are forcing Polar Bears to move south. One has even come on land in Newfoundland in June. There are between 25,000 and 30,000 Polar Bears in the world, of which about 15,000 live in Canada. Females give birth about once every two years and normally have twin cubs. The average life span of these wonderful animals is 15 to 18 years. This average is now reduced due to human activities and climate change. A recent report by COSEWIC, the Committee on the Status of Endangered Wildlife in Canada, stated that Monarch butterflies are at high risk of disappearing forever and raised their status from “special concern” to “endangered.” The report says the status change is due to the impacts of ongoing habitat loss in the Monarch’s wintering grounds in Mexico, coupled with increasing destruction of milkweed caterpillar breeding habitat and nectar plants. 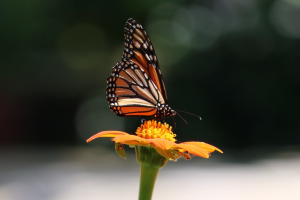 The precipitous decline in North America’s Monarch butterfly population of up to 90% has unfolded since the widespread use of pesticides and herbicides. The good news is that Nature Canada, among other environmental organization, are taking action to protect Monarch Butterfly populations. Half of Canadian turtle species are in decline and need urgent conservation action. Besides road mortality, the main factors driving down turtle populations are habitat loss, nest predation and poaching. What’s needed to counteract this impact of human activities is education, outreach and engagement, with the ultimate goal of changing the way we behave around turtles and other wildlife. Legislation alone cannot create that. The key is engagement by people who share the earth with wildlife and take ownership and stewardship of species. Read more on how you can help save turtles’ lives today! Many whale species are endangered by the consequences of human activities and climate change, especially the orcas on Canada’s west coast. There are three main causes for their decreasing numbers: starvation, water contamination, and underwater noise. Overfishing of Chinook salmon has reduced the orcas’ primary food source, requiring them to travel farther for less food. Pesticides in the water concentrate in their bodies because orcas are at the apex of the predatory food chain. And ship propellers and engine noise from tanker traffic interferes with their echolocation of prey. Increasingly, many whales are becoming entangled in fishing and lobster trap lines. They suffer injuries, are being maimed, and often drown. 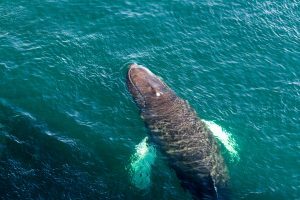 Several species of large whales in the Northwest Atlantic are under endangered species legislation, and Prime Minister Justin Trudeau launched a $1.5 billion Ocean Protection Plan, starting a new and much needed commitment to protect marine mammals. North America is home to more than half of the planet’s salamander species, including 21 in Canada. Many are rare and only occupy small areas. In the Netherlands, endangered Fire Salamanders were nearly wiped out by a skin-eating fungal disease, believed to have arrived with pet salamanders from Asia. International trading is another human activity that results in an impact on wildlife. 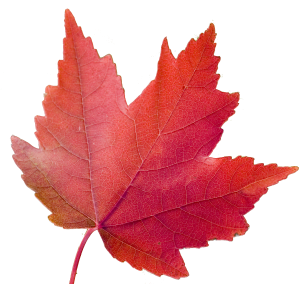 In an effort to prevent the fungal disease from reaching North America, the Canadian government has banned any salamanders entering this country. The ban is aimed at the estimated 17,000 salamanders (including newts) that have, until now, arrived each year to supply the pet trade or researchers needing study animals. There seems to be no end to the impact from diseases and human activities, in addition to the overall effects of climate change. We are an integral part of nature and are sustained by it; we share our planet with all other creatures. Wildlife and humans will always conflict where and when their interests intersect. We have to understand that it is our destiny to be intertwined with the natural world. But it is important to address the growing disconnect between people and the natural world. 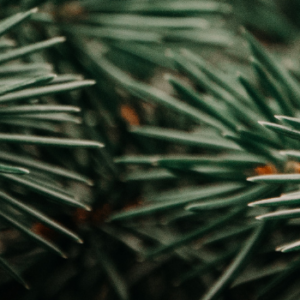 Taking better care of the natural world encompasses conservation initiatives. Support for conservation is stronger when we care about places and their natural values. Help fight for nature in Canada today by supporting Nature Canada as we fight to protect wildlife species from coast, to coast, to coast. Sources: Nature Canada, Nature Conservancy of Canada, Canadian Wildlife Federation, Canadian Parks and Wilderness Society, Bird Studies Canada, Ontario Nature, BBC documentaries, Ecojustice, National Post, Corporate Knights magazine, National Audubon Society, field notes. Earlier editions are archived on the websites of the Rouge Valley Conservation Centre and of the Rouge Valley Naturalists.